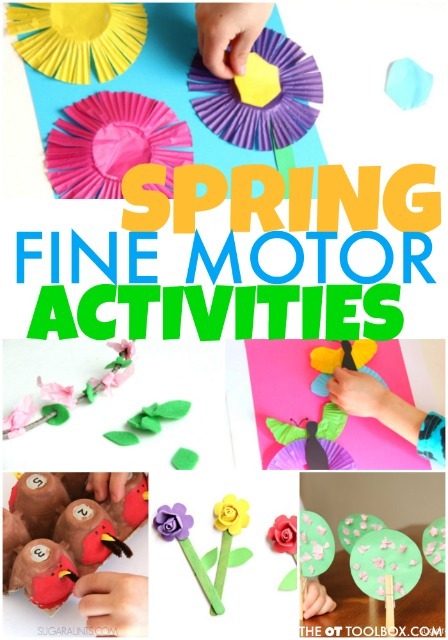 Looking for Spring Fine Motor Activities to do with the kids this time of year? This is the space to find creative activities and ideas to promote fine motor strength, dexterity, open thumb web space, arch development, and the precision grasp needed for functional tasks like pencil grasp, endurance in handwriting, scissor use, clothing fastener use, the ability to open containers, type with finger isolation, and every other fine motor task you can imagine! 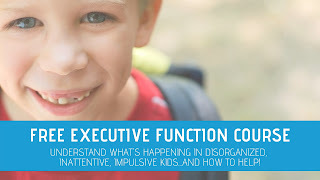 The best thing about the Spring activities listed here are the use of everyday items, making therapy planning a breeze. 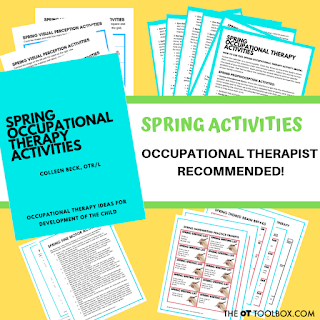 Use some of these ideas in your Spring occupational therapy plans in the clinic or when coming up with a home program for your pediatric clients. It's also a great way to sneak in fine motor work this time of year in a fun way! Today is all about Spring Fine Motor Activities. Check the out below! 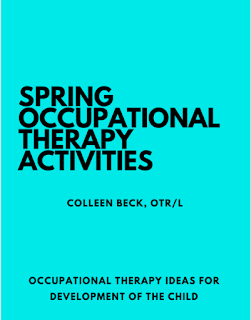 You'll also be interested in our newly updated Spring Occupational Therapy Activities Packet. 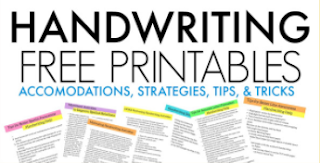 It's a 26 packet of activities with strategies to grade up or grade down the ideas to meet the various needs of a variety of kiddos. You'll find ideas to work on visual perceptual skills, sensory processing, handwriting, fine motor skills, gross motor skills, bilateral coordination, motor planning, and so much more! 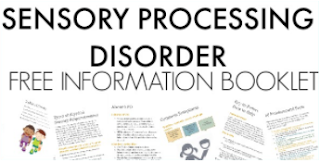 The packet is only $7.99 and can be used over and over again for every student/client! 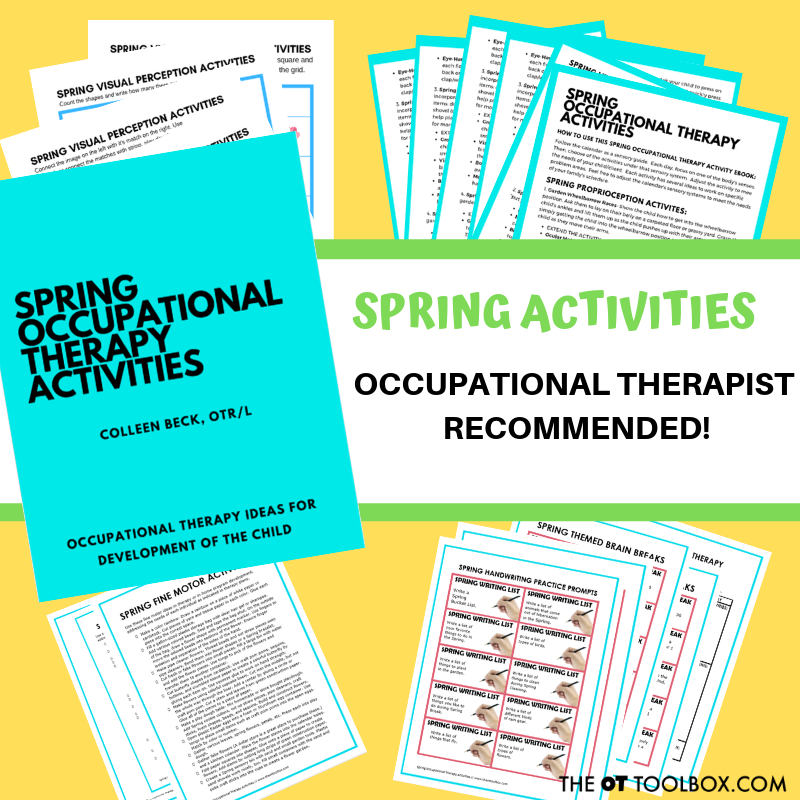 Grab the Spring Occupational Therapy Activities Packet HERE. Use this cherry blossom activity to promote hand strength, precision, opening of the thumb web space, thumb stability, arch development and intrinsic muscle strength. Kids can make the cherry blossom activity, but also work on visual motor skills and patterns. Read more about this spring activity and how it promotes hand strength in so many ways. 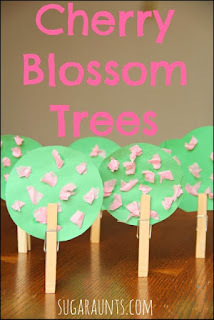 Love cherry blossoms and want to go with a cherry blossom theme while boosting those fine motor skills? Try this Cherry Blossom Tree Craft and strengthen pinch, grip, arch development, separation of the sides of the hand, thumb stability, bilateral coordination, and other skills. Work on pincer grasp, hand strength, dexterity, and mobility with this robin craft. Kids will love feeding worms to the robins that they make from egg cartons. Best of all, it uses recycled materials and can be used over and over again! Looking for tons of Spring craft ideas to last the whole season long? 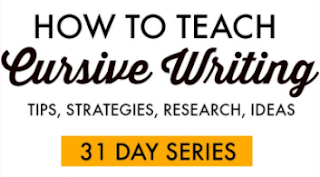 You'll find loads of ideas from around the web! Make flowers and use them to boost fine motor skills too with this fine motor flower craft! 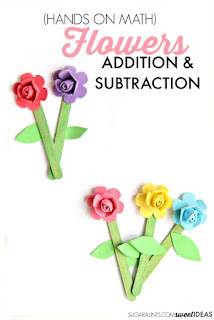 This flower spring craft is a great (easy) craft idea to promote scissor skills. I love that it helps kids to work on precision when cutting with scissors and graded snips to stop at a specific point when cutting. This is a hard skill to master! Kids will love to see the flowers they create when cutting up to a point and then stopping the scissors to create the flower! Another Spring fine motor activity that promotes scissor use is this butterfly craft. Kids can learn to cut curved lines and improve precision by cutting with a thinner material using cupcake liners to help with precision and accuracy. 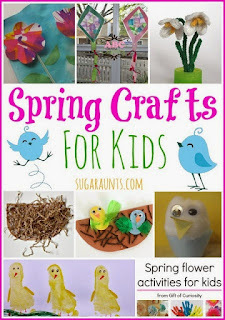 What a fun spring craft for kids! 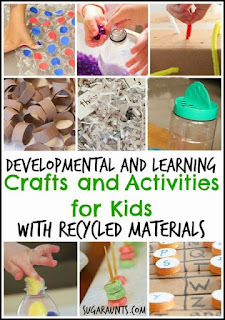 Take a different spin on Spring activities and celebrate Earth Day by making crafts and activities using recycled materials. There's something for everyone here...all while promoting fine motor skills! One easy way to work on hand strength is to create a Spring Play Dough Press Activity. Simply pull out the play dough and some Spring items like cookie cutters, flowers, feathers, small animal toys, and other Spring-themed items. Create a sensory table experience and press those items right into the play dough. Kids can hide items and find them again or match up the impressions to the toys. It's a great way to strengthen the intrinsics, promote endurance in the hands, and to do it with a Spring theme! This Spring Sensory Seek and Find Activity is an old one on the website, but it's still a great way to promote fine motor skills like separation of the sides of the hand and finger isolation! Not to mention, moving the materials in the sensory bag around promotes hand strength, along with visual motor skills and visual perception. All you need is a plastic bag, clear hair gel, some food coloring, and Spring stickers! Need some quick ideas to celebrate Easter? These bunny activities should spark some ideas! One of our favorite ways to work on fine motor skills this time of year is with our good, old bunny tongs. 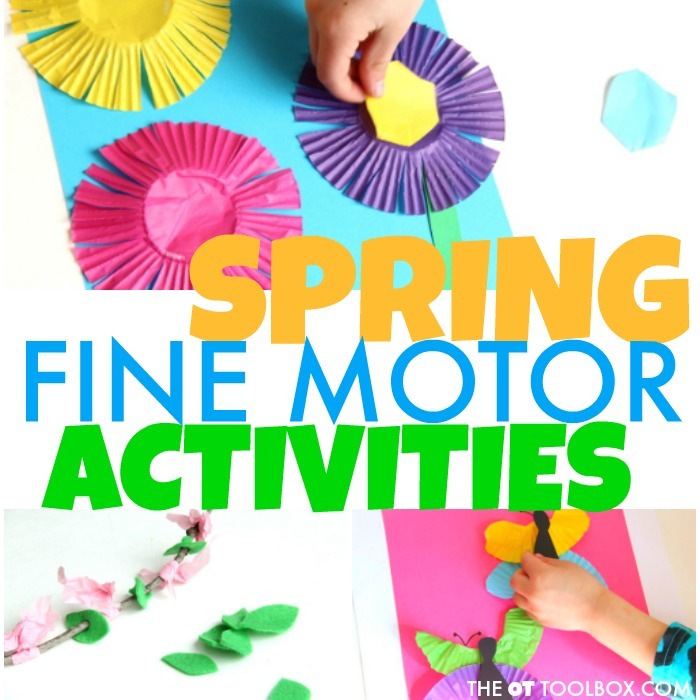 This Spring fine motor activity promotes the skills needed for scissor use, as well as hand strength, eye-hand coordination, and more. You should be able to find the bunny tongs at the dollar store this time of year! 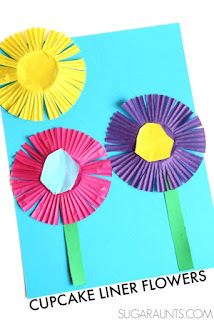 Work on scissor skills with this Recycled Artwork Spring Flower craft. It's a great way to use up that artwork that you don't know what to do with, too!